Welcome to GISH PICKS: CURATED CULTURE FOR KIDS AND ADULTS! I’m Sarah Gish, an info-preneur and culture sleuth who finds the unusual and cool in Houston each and every week. Join me as I shine a light on Houston gems and unique Houston fun. I love Houston and want to show you the people and the places and the events that make it great (see more about my wishes for that here). And I want to make it easy for you so I sort through the cornucopia of events offered in our wonderful city each weekend and I PICK only three each for families and adults to recommend to you. That way you’ll be all set when Friday hits! Speaking of Friday, please join me for my weekly PICKS-ON-WHEELS in my Phoenix Rising Art Car. Each Friday at noon, I’ll be at a different cool place – meeting people, introducing what they do and their mission, and wandering around. It’s my way of bringing GISH PICKS to life! 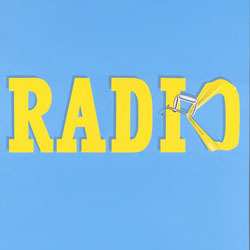 Tune in on Fridays here. It is TOTALLY fun and I’d love for you to see them and join in by liking and commenting! AND – lucky you, I’ll be posting them here as my weekly VIDEO PICK when I can. We are the most diverse city in the country, not only because of the over 100 languages spoken here every day, but also because of the diversity of events offered and places to hang our (cowboy) hats. Please be sure to tell your friends about GISH PICKS – the more people who know about these unique cultural events, the more unique cultural events the organizations will offer us. Please also tell the orgs that I sent you. My business grows by word of mouth so I thank you for your continued support. Here’s to many more years of GISH PICKS! A note about the social media for GISH PICKS: please LIKE our Facebook page for family PICKSand our Facebook page for adult PICKS. Be sure to click “See first” in the dropdown menu on the LIKE button so you won’t miss a post! And please follow me on Instagram and Twitter. You’ll get all my CULTURE PICKS and more that way. And there’s one last way to stay in touch with me! I organize many events, such as labyrinth walks and workshops, so if you’d like to be informed of those before everyone else, please subscribe to my Gish Creative list here. I hope you are heading into this holiday season with joy and anticipation! I know it’s not easy this time of year – drivers are grumpy, money is tight, kids are antsy – but you can do it: you can be calm in the center of chaos! I find the best way to still anxious thoughts and to head out the door in a calm frame of mind is to meditate every morning. I wrote a Facebook post about that recently, which contains one easy tip for starting a meditation practice. These crazy dayz need some focus and I recommend meditation for finding yours. 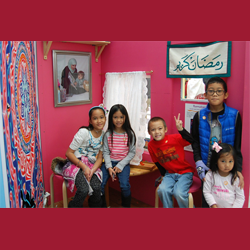 There are many faith observances this time of year and I have two favorite resources for understanding them: the “Seasons of Sharing” Exhibition at the Children’s Museum of Houston (see my PICK below about that) and the Anti-Defamation League® Calendar of Observances, which lists events commemorated by faiths from around the world. Their goal in creating that multi-faith yearly calendar is to help schools and other community organizations plan events in this increasingly diverse and global world. If you’re not familiar with the ADL, I suggest you peruse their website. They are doing such great work out there, which is needed now more than ever! This Friday, December 1 is “World AIDS Day,” an event focused on eradicating not only the deadly disease but also the prejudice against those in the LGBT community. Houston is commemorating the day with two events, both on Friday: a fundraising luncheon that benefits the Aids Foundation Houston, Inc. and Avenue 360 Health & Wellness, and a candlelight vigil from 6-7pm at Legacy Community Health. This week’s VIDEO PICK is my very first PICKS-ON-WHEELS from last January, in which I visited Lucia’s Garden. Sadly, owner Lucia Bettler passed away recently so her shop will be closing soon. 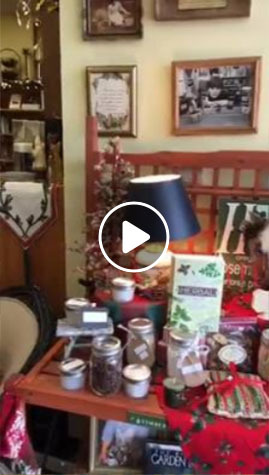 Please stop by and do some holiday shopping – they’d love to see you! “Lucia” means “light” and the light of Lucia’s wisdom, herb knowledge, cooking prowess, and more has dimmed recently. We all hope that something will emerge from this closure. I’ll be sure to let you know if I hear any news. I’ve got several things I’m involved with that I want you to know about so be sure to scroll down below the PICKS to learn about them! I’m one of the artists in a cool home holiday shopping event on Saturday, December 9 from 2-4pm; my intuitive guidance sessions are available every Monday at Body Mind & Soul; and my next “Second Saturday Labyrinth Walk” will be on Saturday, December 9 at 10am at the Hines Center for Spirituality and Prayer. 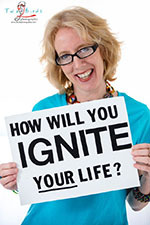 Please love one another, please share this, and please – go IGNITE YOUR LIFE! Ring in the season with the 98th Annual Mayor's Holiday Celebration and Tree Lighting this Friday, December 1, 6-8pm, at City Hall downtown. They will light the city’s beautiful holiday tree (glowing with energy efficient LED lights!) and there will be Santa, fireworks, and family fun – all for free! 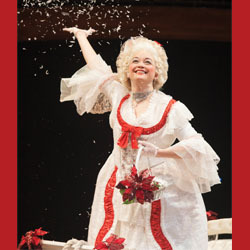 Enjoy Houston’s annual holiday favorite “A Christmas Carol: A Ghost Story of Christmas,” which will be onstage at the Alley Theatre through December 30. This creative re-telling of Charles Dickens’ classic story follows Ebenezer Scrooge’s journey with the three ghostly spirits who visit him on Christmas Eve. Check the website for information about tickets and showtimes, group discounts, trivia questions, special events, and more. 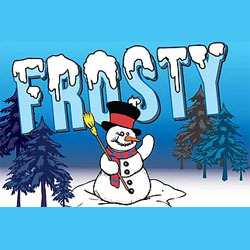 The Company Onstage presents “Frosty the Snowman,” which opens this weekend and runs through December 23 at Salem Evangelical Lutheran Church. The show is the story of Frosty and his friends who are trying to save the job of train station manager, Mr. Bucket. When the Musical Menagerie comes to town, Frosty is presented with a dilemma and must choose between friendship and fame. 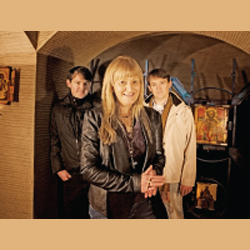 This Sunday, December 3, from 2-4pm, head to the University of St. Thomas for “A Celtic Christmas: Song, Soul and Joy of the Season” with world-renowned singer and keeper of Irish culture Nóirín Ní Riain, Ph.D. and her sons, Owen and Moley Ó Súilleabháin. The event will be an afternoon of song and story celebrating the wisdom, charm, and wit that the Celtic tradition holds in store for us all. The brothers work with organizations and individuals to awaken dynamic and creative forms of being into life through the power of the arts, performance, and ritual. 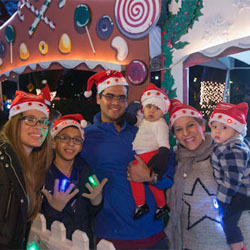 It’s holiday time bigtime for the Children’s Museum as they celebrate with plenty of fun events, later hours, a special musical show, and their annual “Seasons of Sharing” exhibition, which is Houston’s only multicultural holiday exhibit for children. Click here for information on all their holiday fun through January 7 and here for information about their monthly “Mommy Mingle,” which is next Wednesday, December 6. The Menil Collection presents “30 Works for 30 Years” through February 25, 2018 and it’s an exhibition that celebrates the birth of the Menil in 1987. At the heart of the museum’s permanent collection are the 10,000 works of art and objects that John and Dominique de Menil acquired beginning in the 1940s. Curators culled through those and selected thirty works of art to tell a unique story that walks visitors through the past thirty years. The Menil is open Wednesdays through Sundays and is always free. 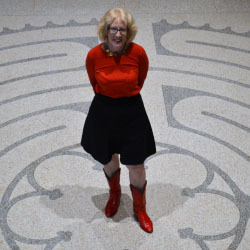 Join me on Saturday, December 9, from 10-11:50am for my monthly “Second Saturday Labyrinth Walk” at the beautiful Hines Center for Spirituality and Prayer in downtown Houston. We’ll tour the center, walk the labyrinth, and make art. I am a trained labyrinth facilitator and love sharing what I know with others! Register for the walk here or at the door. You’ll leave with your art, a list of Houston area labyrinths, and a handout on walking labyrinths. 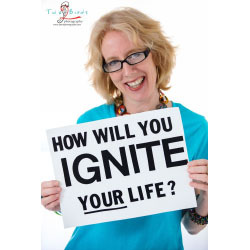 I am an intuitive guide at Body Mind & Soul on Mondays and my goal is to IGNITE YOUR LIFE! through a 30- or 60-minute session in which we will delve into what makes your heart sing. I can help you with work and/or personal issues and it’s a great way to jump-start life changes. I’ve been doing this for over 5 years and can honestly say that every customer has walked away happy and armed with good information about themselves. For an appointment, please call the store at 713.993.0550 or call me at 713.492.1173 for more information about how I can help you.